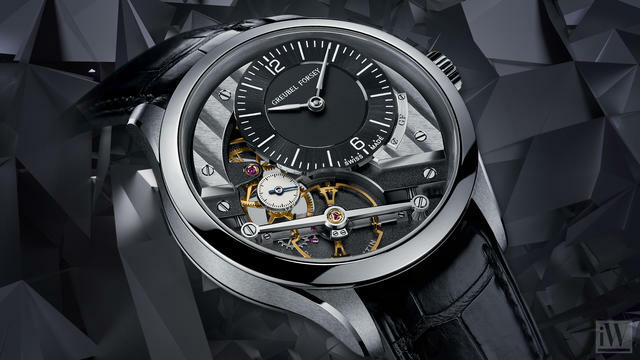 In addition to the brand’s show highlight, the titanium Grande Sonnerie, which we introduced to you last week, Greubel Forsey has also added new models in several of its best-known collections and have also debuted an interesting new Art Piece. At the same time the brand introduced Mechanical Nano, an ongoing research project that teases the possibilities of a wholly re-designed watch escapement and going-train network that could offer a whopping 180-day power reserve in a wristwatch. 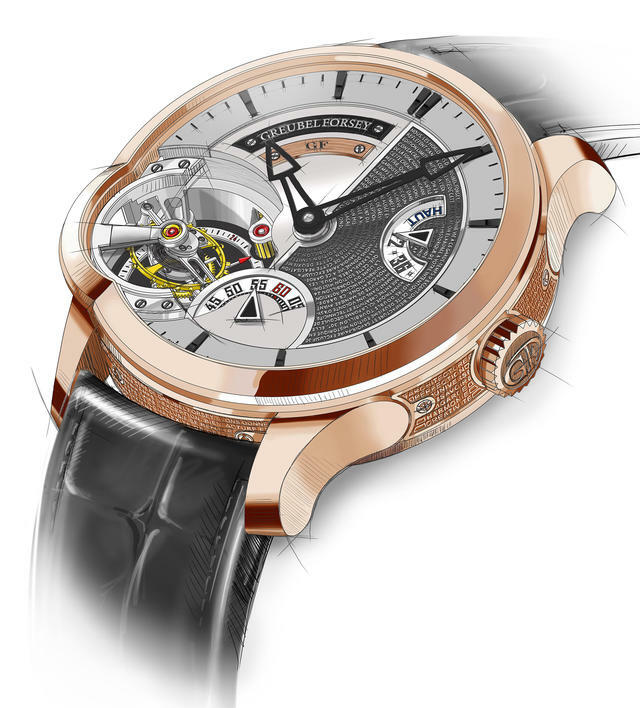 Greubel Forsey will offer more details in the days and weeks ahead. 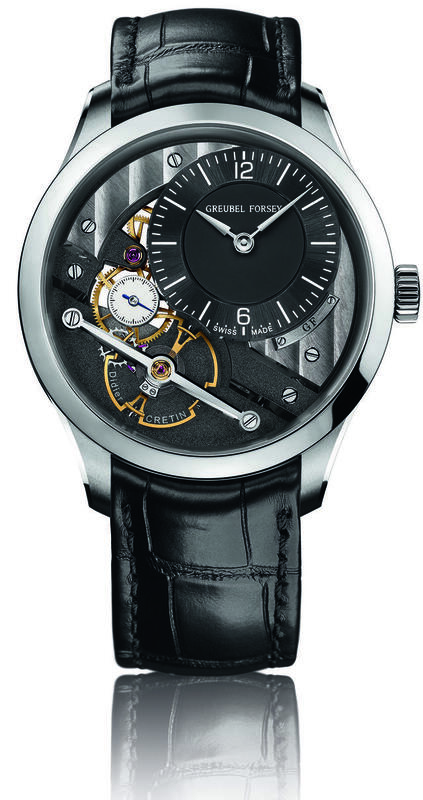 The launch last year of Greubel Forsey’s three-hand Signature 1 collection was met with accolades for many reasons: Its reduced dimension (41.4mm in diameter), pared-down function (hours, minutes and seconds) and steel-case option (a first for the brand) were cited by many observers. Collectors of course also relished the possibility of a Signature 2 collection sometime in the near future. While we wait for Signature 2, Greubel Forsey this year reminds us of why we enjoyed the Signature 1 so much last year as it unveils the promised Signature 1 platinum edition. Recall that long-time Greubel Forsey watchmaker Didier Cretin inaugurated the Signature series, in which one watchmaker will create his or her own timepiece at Greubel Forsey universe and cosign it with Robert Greubel and Stephen Forsey. The project aims to showcase watchmaking skills and is meant to extend the brand’s vision of high-end watchmaking to younger generations. Cretin designed a hand-wound watch with three hands (no tourbillon) that features an exclusively designed Greubel Forsey balance wheel. In this newest version in platinum, the off-center placement of its dial in anthracite black-colored gold contrasts with the mechanical contents. The hour-ring and minute-circle appear in white and each example’s individual model number is engraved by hand on the back of the timepiece. 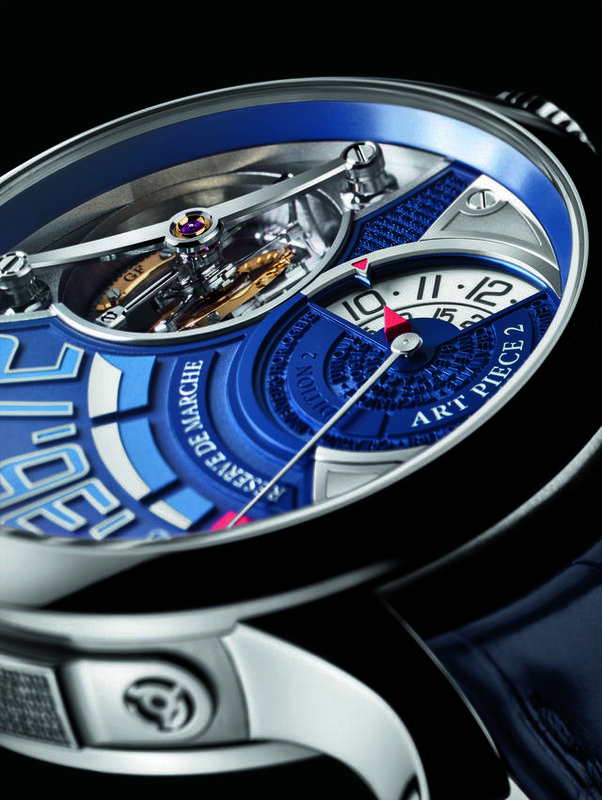 Greubel Forsey will make eleven platinum Signature 1 pieces. Greubel Forsey adds three new gold dial colors to the platinum-cased version of the Tourbillon 24 Secondes Vision, previously only offered a salmon dial option. 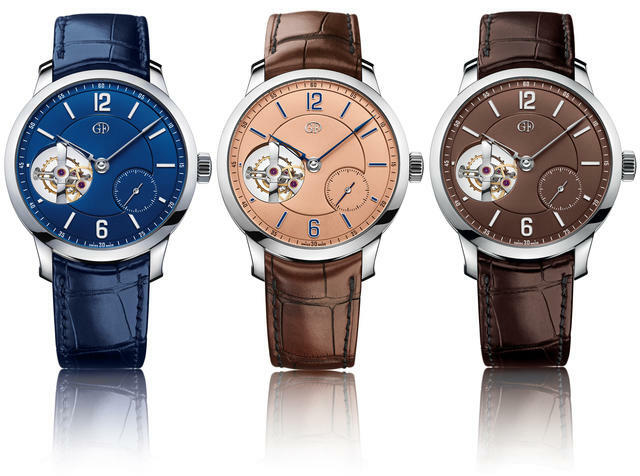 The watch, which was awarded the Aiguille d’Or 2015 by the jury of the Grand Prix d’Horlogerie de Genève, is now available in three new platinum versions with dials colored of chocolate, blue or anthracite black. The multi-level gold dials feature engraved indexes (or gold appliqués depending on the version) filled with grand feu (champlevé) enamel. The hour, minute and small seconds hands are made of polished steel, which is blued in some of the versions. The countersinks are polished by hand. This is the watch with the sapphire dome on its caseback made to best fit the impressive tourbillon, which is set an a 25-degree angle while also allowing light to stream through the case to better illuminate it as it rotates once every 24 seconds. Tourbillon 24 Secondes Edition Historique. 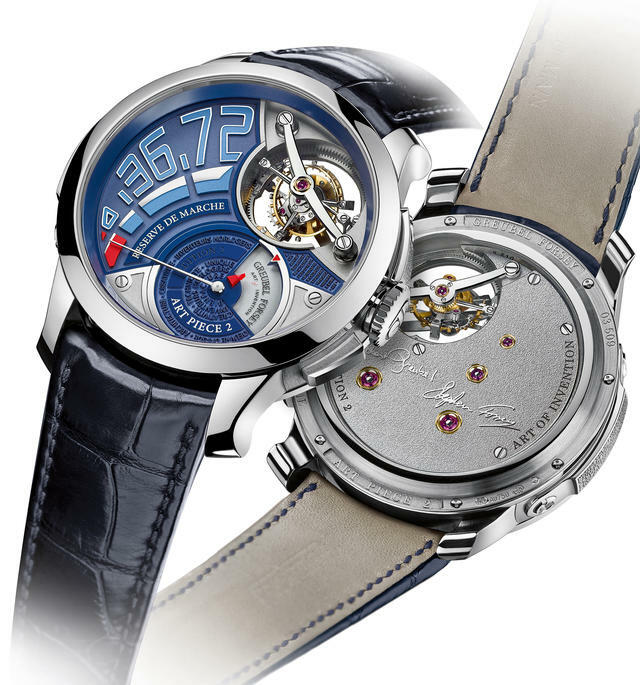 Greubel Forsey has offered three versions of the Tourbillon 24 Secondes to date: the Asymétrique, Contemporain and Vision (see above) models. As noted above, the Vision edition was awarded the Grand Prix de l’Aiguille d’Or in 2015. In 2017 the watchmakers have decided to pay homage to the first of these three versions, the “Tourbillon 24 Secondes Asymétrique,” by creating this unique edition. For this timepiece, the architecture of the dial was entirely reinterpreted and redesigned with a three-dimensional engraved text and a new interpretation of the sectoral seconds and power reserve displays. The latter two display systems are new to the Tourbillon 24 Secondes timepiece and give the piece its own signature display. This Tourbillon 24 Secondes Edition Historique will be available in two editions (red gold or platinum) of eleven pieces. Note that this 44mm model ends production of the Tourbillon 24 Secondes Asymétrique collection, whose models have been produced at an average rate of eighteen pieces per year since 2007. What is time anyway? There may not be a micro-sculpture inside this newest Greubel Forsey statement timepiece, but it will nonetheless massage your brain. Time is secondary on this Double Tourbillon 30 Degree. You’ll need to first press the pusher at 4 o’clock to open the aperture that indicates hours and minutes. The power reserve, with the only real hand on the dial, is the focus here. The idea, according to Greubel Forsey, is to alter our “relationship with temporality: it is not the current time that we contemplate, but the time remaining.” Is it a reminder of our brief time on earth? Possibly. But with this 44mm white gold tourbillon art installation on your wrist, you’ll enjoy your existence just that much more. Robert Greubel and Stephen Forsey will sign each of the few pieces made each year.